Find out about our Lounges, and the roles involved with them. Customer service is at the forefront of everything we do. Our award-winning Lounge Teams are always on the lookout for people who are passionate about hospitality to join us. If delivering great service comes naturally to you and you want to work in a busy and varied role where no two days are the same, you could be just who we are looking for! MAG currently operates seven executive Lounges across our three UK airports (Manchester, East Midlands and London Stansted) We operate the unique 1903 and Escape brands. Guests can get away from the hustle and bustle of the main terminal and enjoy the calming atmosphere of our Lounges. Helpful colleagues will look after our customers as they use our quiet space to enjoy complimentary refreshments and food, read, browse the web and prepare for the journey ahead. Manchester's 1903 Lounges are fairly new to our Lounge family. They are adults-only premium Lounges, ideally suited to couples and solo travellers. Each year over 700,000 guests use our Escape Lounges in the UK. With one in each of our three terminals, they provide the ultimate start to any traveller’s journey. Our Hosts are the face of our Lounges, providing first class customer service to our guests. This is a varied role where you could be checking in guests on the reception desk or serving drinks on our complimentary bar. We want all our guests to have an amazing start to their journey and our customer-focused Hosts ensure this happens every day! Duty Managers are responsible for the day to day operation of their Lounge. They trouble shoot and ensure everything is running as it should be whilst striving to create a VIP experience for all our guests. Our Commis Chefs are passionate about food! They work hard to prepare and present delicious dishes to our guests whilst always ensuring the highest of standards are maintained. Head Chefs play a crucial part in our Lounge operation. With overall responsibility for the preparation of our dishes. They keep everything ticking over in our kitchens. The Lounge Manager has overall responsibility for their Lounge. 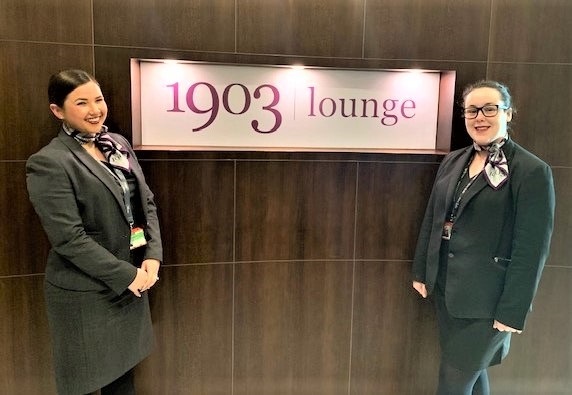 Supported by a team of Duty Managers they will work hard to ensure that Lounge standards are maintained and also work on continuously improving the service we offer to our guests. Search jobs today at Manchester Airport. Find out more about recruitment and roles at the airport.